The legendary John Carpenter first made his mark with Halloween – both as a director, and as a composer – the second a role for which he's finally gotten the attention he deserved! The original Halloween soundtrack was a masterpiece in understatement – spare instrumentation, often electric and with keyboards – and a real contrast to both the fuller orchestrations and the smaller funk work that was being done earlier in the 70s. Carpenter's approach set the tone for generations to come – and here, he goes back to the source – working with two younger musicians on music for the 2018 version of the film, which still holds on to some of his earlier keyboard elements, but also opens up a wider sonic palette too. At some level, the shift is almost one that reflects the change in technology – you can now do an awful lot with just a little bit of equipment – yet even amidst that change, Carpenter still hews to his best sense of minimalism – creating these dark murky corners beyond the range of sonic comprehension at points – then going for more of the full-on numbers that have always been his stock in trade. 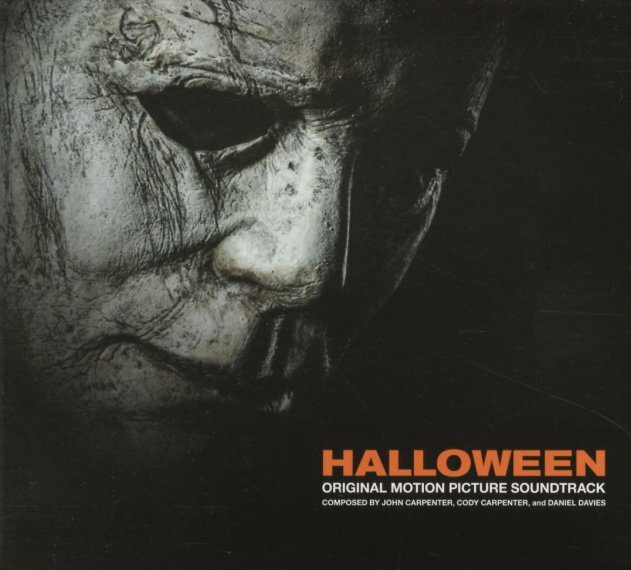 Titles include "Michael Kills", "Halloween Theme", "Say Something", "Ray's Goodbye", "The Shape Hunts Allyson", "The Shape Burns", and "The Grind". © 1996-2019, Dusty Groove, Inc.